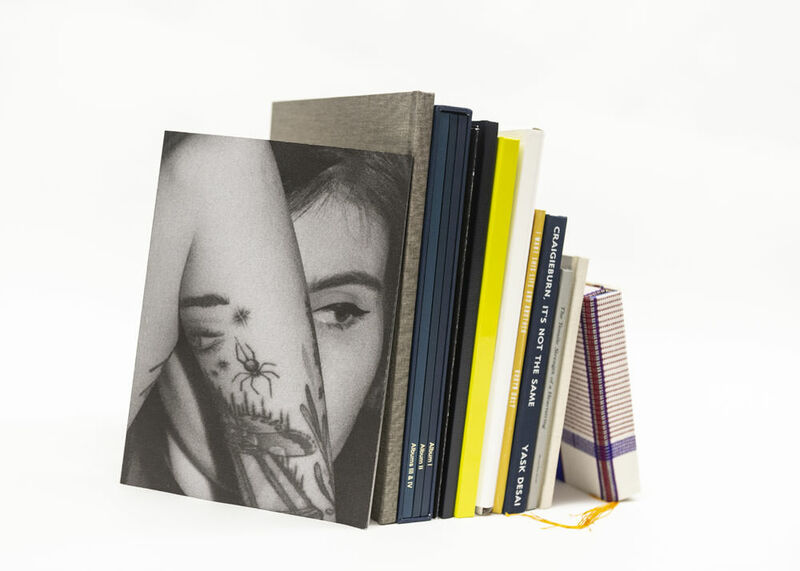 As readers will know, I'm a big fan of photobooks so it was great to see Momento Pro getting behind the Australia and New Zealand Photobook Award. The winners were announced to a full house of photo book creators and lovers at the Centre for Contemporary Photography in Melbourne on Saturday 16 March. The biggest prize went to emerging Melbourne photographer, Sarah Walker. Her debut book, Second Sight, published by independent publisher Perimeter Books, won the Photobook Winner prize of $1,000 in cash and $3,000 in Momento Pro print credit. It was selected from 117, mainly self-published, entries. Second Sight explores our relationship with spirituality, faith and ritual, with a healthy dose of cynicism. The judge's described it as, "having an unsettling voice that draws on spirit photography, nineteenth century notions of hysteria, and the arcane world of secret ritual." They praised it for its, "wonderful combination of photography, editing, design and storytelling. The narrative builds, changes and repeats, and the theme of 'seeing is believing' is reinforced and reimagined throughout the book." It was published as a softcover edition of 500 at $30 RRP. A total of $13,500 in cash and Momento Pro printing credit prizes were awarded on the night, with the aim of helping the winners' publish new work and progress their career. New Zealand's representation was impressive on a per capita basis, as they secured six of the 12 finalist nominations. It was therefore fitting that the recipient of the new Student Winner prize, Indonesian-born Kira Sampurno, produced her self-published book ROYGBIV as part of a Bachelor of Design (Honours) at Massey University in Wellington. The judging panel consisted of six photography and publishing experts from Australia and New Zealand, including one international judge, renowned Dutch photo book designer Teun van der Heijden of graphic design agency Heijdens Karwei. The Award exhibition of 12 books now travels to ten destinations throughout Australia and New Zealand, as far as Hobart and Christchurch. Visitors to the exhibition are invited to vote for People's Choice winner who will receive $500 cash and $1500 print credit. A printed catalogue is also available and distributed to photo book critics and communities around the world. The Award has a history of being a launch pad for past finalists winners, who have gone on to secure major international publishing deals, and last year's Commended finalist, James Bugg, went on to win the prestigious Moran Contemporary Photography Prize. To find out more about current and past winners, or to view and buy their books visit anzphotobookaward.com.